You’re Carlos Correa, and this all started on Draft Day 2012. You weren’t the consensus No. 1 pick coming out of the Puerto Rican Baseball Academy. There was no consensus No. 1 that year, no Bryce Harper, no Stephen Strasburg. Brilliant, as it turned out – the Astros signed you for $4.8 million, $2.4 million under slot, then used their savings to grab a high-school right-hander named Lance McCullers at No. 41. But a bit of a shock. “A lot of people doubted that pick,” you say now, five years later. You also are the most accomplished player from the Class of 2012 based upon Wins Above Replacement — ahead of Cubs shortstop Addison Russell (No. 11), Dodgers shortstop Corey Seager (No. 18) and all the others. You’re Carlos Correa, and you considered 2016, your age 21 season, a step backward. You’re holding your bat flatter now, closer to your shoulder. A small thing perhaps. But significant enough to help you become the American League Player of the Month for May. “I’m trying to get my bat through the zone for a long time,” you explain. “If I’m late, I want to be able to hit a line drive to right field. If I’m early, I still want to hit a line drive to left field. You’re Carlos Correa, and during the off-season you parted with your marketing representative, Frankie Higginbotham, as first reported by the Puerto Rican newspaper, El Nuevo Dia. Higginbotham had helped you land a five-year deal with Adidas in Feb. 2016, a deal described as “huge” and “record-setting” by ESPN’s Darren Rovell. You’re Carlos Correa, and you’re aware of the defensive metrics. You rank 25th among shortstops in defensive runs saved, 21st in Fangraphs’ version of defensive WAR. Many with the Astros swear you are better than that, better than people think. 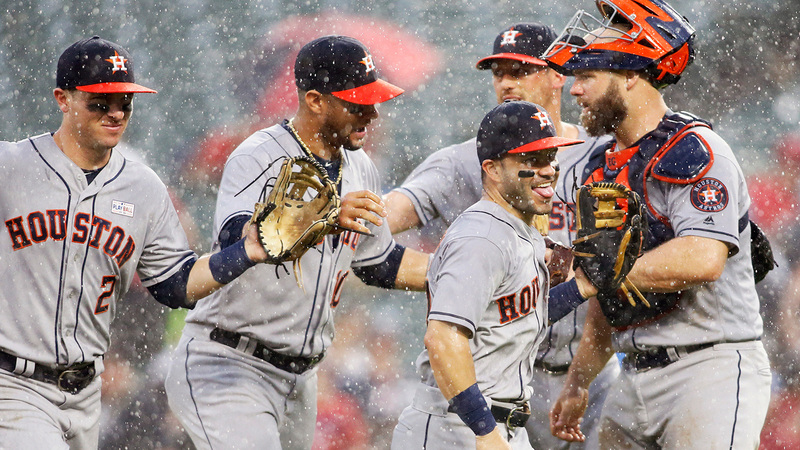 Part of the issue, you believe, stems from the Astros’ heavy use of defensive shifts; the team entered Sunday having shifted on 33 percent of its opponents’ plate appearances, the highest rate in the majors, according to STATS LLC. Sabermetricians acknowledge that shifting makes the evaluation of infield defense more difficult; zones are not perfectly quantified, so some balls that appear to be in an infielder’s zone might actually be out of his reach. “When I look two-three steps to my left, Altuve’s there. 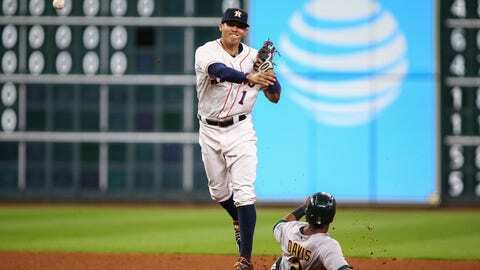 When I look two-three steps to my right, Bregman is there,” you say, referring to second baseman Jose Altuve and third baseman Alex Bregman. You might never float like the Indians’ Francisco Lindor, a fellow Puerto Rican — one professional evaluation describes your hands as plus and your arm as plus-plus, but your range as average. 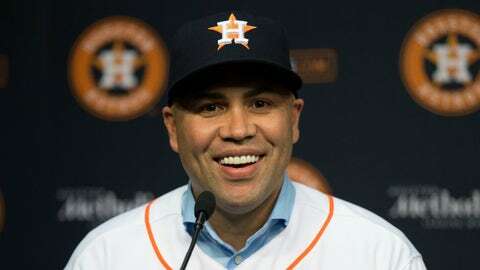 You’re Carlos Correa, and you consider it a gift that Beltran, 40, is now your teammate. “When you sit down with Beltran, watch a game with Beltran, there’s so much more going on than just hitting a baseball, catching a baseball, throwing a baseball,” you say. 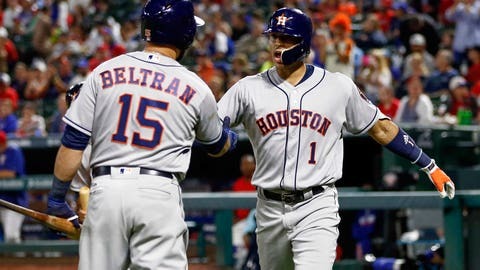 Sometimes you will ask Beltran before an at-bat, “Should I look for a slider?” Beltran will respond, “Go for it, if that’s what you feel you want to do.” And Beltran will relish the moment, knowing that you are a step ahead, that most young players simply react rather than anticipate. 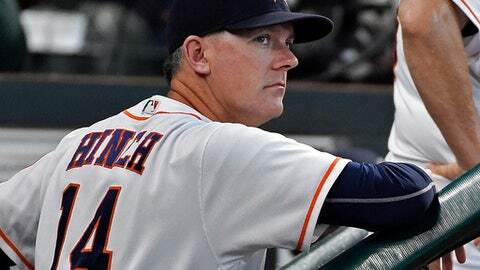 “He is a touch more aware of the subtleties within the game this year — small things that make him better,” Hinch says. 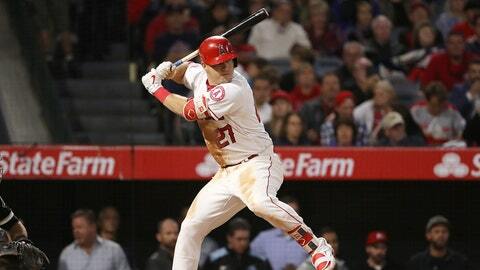 “Not just his swing, maybe more about his legs. Not just his fielding, more about his footwork on double plays. Not just an at-bat, but how to be productive. You were drafted five years ago. You’ve got 15 or more to go. You’re Carlos Correa, and you’re a professional now.